The Vikings were famous for being fierce warriors and expert sailors. But what else do you know about them? 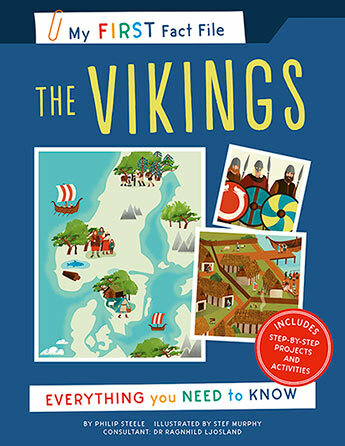 This fascinating fact file gives readers aged 5 and up a first insight into the amazing lives of the Vikings. Find out about the mythology surrounding their gods and goddesses. Discover how Viking society worked, from the king at the top to slaves at the bottom. Learn about the ways in which Viking people had fun, including wrestling, tug-of-war and chess. 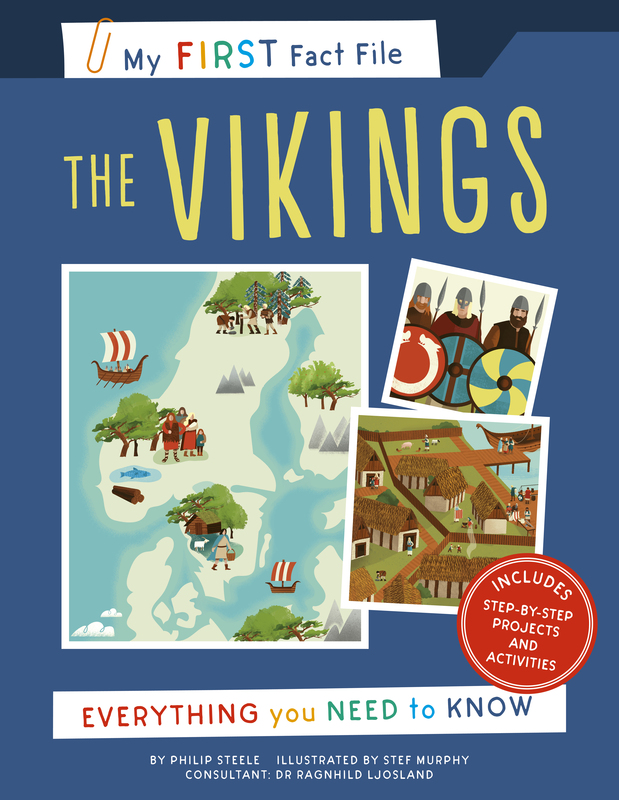 Packed with missions, projects and activities, The Vikings (My First Fact File) gives you everything you need to know about this exciting era in our history. Philip Steele has written for children on many subjects, including history, biography, social issues and the natural world.